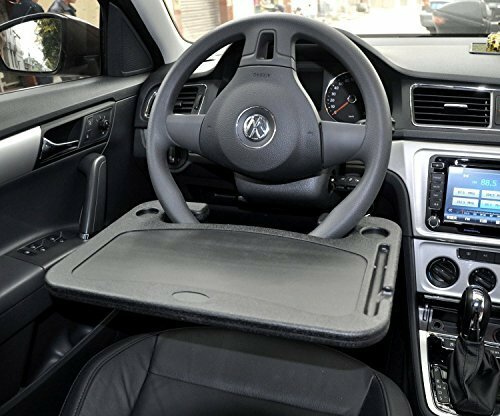 1) This Steering Wheel Desk is flat for write on one side, and on the other side for lunch or snack with a place for a cup holder. 2) For safety reasons, never use this product while driving. 3) It can be developed for the mobile worker on the road need support for their laptop or a place for write.